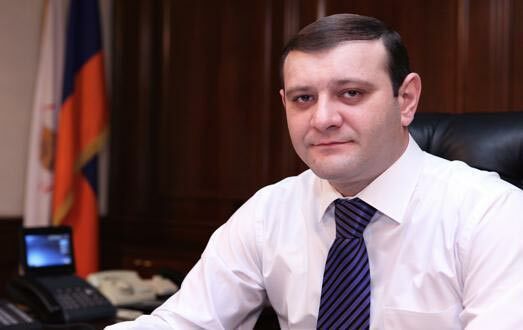 Yerevan Mayor Taron Margaryan has suspended his decision to raise public transport fares until mechanisms are developed to ensure that it does not hit the poor. In an address to the public issued on Thursday in response to continuing public protest against the 50-percent rise in minibus and bus fares Margaryan described the unpopular measure as beneficial for Yerevan in the long term, but acknowledged that its introduction did not take into account the interests of the socially vulnerable sections of the population. Margaryan, who promised in late March, shortly before the municipal elections in which he was reelected mayor that transport fares would not go up in the near future, said that until early summer he frankly believed that the existing tariffs could be maintained for a few years, but price increases in some immediately related markets, according to him, make it impossible to continue improvements – even cosmetic ones – in the sphere without raising fares. “On the one hand, there was the issue of organizing a safe and dignified transportation of people, on the other hand there was the heavier financial burden for our citizens,” he said. “The fare of 150 drams is the price of solving these problems that, unfortunately, we have to pay. We simply have no alternative,” he added.